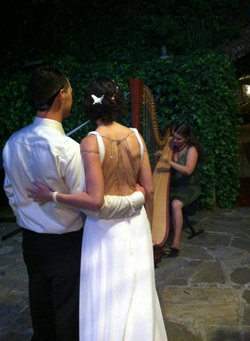 Sage is an experienced wedding harpist and loves playing for such a special occasion. Whether you are planning a traditional ceremony or creating something new, she has beautiful music to contribute. Contact her directly for details and music samples.